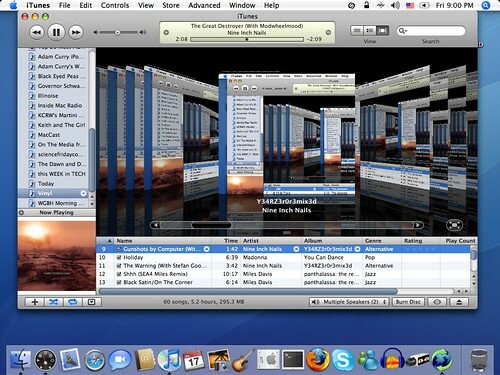 Is anyone else experiencing this weird iTunes Cover Flow Bug? Instead of showing the appropriate cover, iTunes displays the content of the screen inside iTunes. It even calculates all the reflections and everything, and does so for the cover inside the cover inside the cover inside the cover - I can even browse through the covers and it will do all that in real time! The same iTunes library works fine on a Powerbook G4 and MacBook Pro.